The Italian publication of The Fourth Political Theory has great significance for me. That is above all connected with the fact that my views were formed under the decisive influence of the philosophy of traditionalism, one of the two pillars of which (alongside René Guénon) is the Italian philosopher Julius Evola. On the whole, my views are completely based on traditionalism, though I prefer not to repeat the formulas and statements of its founders, but, proceeding from its principles, to develop conceptions and theories in those domains that for some reason or other were not priorities for the founders of traditionalism. Nevertheless, precisely traditionalism lies at the basis of all my investigations, to whichever sphere they might relate: philosophy, religion, politics, geopolitics, sociology, international relations, the history of civilizations and ideas, etc. Since Evola was Italian, a school of supporters decisively influenced by his ideas naturally formed in Italy. For that group of readers, many aspects of “The Fourth Political Theory” will, I hope, be rather fully comprehensible and familiar. The main issue is the juxtaposition of the paradigm of Modernity and the paradigm of Tradition. The Three Political Theories, on the overcoming of which the Fourth Political Theory is based, belong entirely to the paradigm of Modernity. Their alternative, the Fourth Political Theory itself, appeals to the paradigm of Tradition. 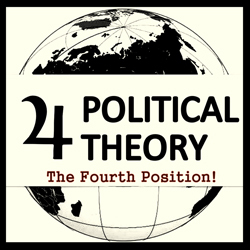 Essentially, the Fourth Political Theory can fully be regarded as a strategy of Revolt against the modern world, applied to the political-ideological circumstances of the 21st century. 1. Rejection of the individual as the basis of liberalism. This contrasts with the works of Evola (especially the early ones) in which he develops a teaching concerning the “Absolute Individual.” Here, incidentally, the problem is terminological: I mean by “individual” the concept of the rational-material person of Modernity, as Anglo-Saxon philosophy and contemporary sociology (especially Dumont) think of him. The “individual” is the atomic ego, completely closed off to any transcendental dimensions. It is obvious that Evola means something entirely different by “individual,” and all the more so by the “absolute” individual. He uses this term as a synonym of the Hindu Atman, which has no relation at all to the individual of liberalism or Modernity. In the Western tradition, one might speak of the “person.” If we adopt this correction, the contradiction disappears. 2. Specification of the correlation between Dumézil’s three functions (or three higher castes) and the three estates of Western European history. If no problems arise in regard to the homology priest – Brahman (first caste) and warrior (aristocracy) – Kshatriya (I bypass the question of Evola’s polemics with Guenon concerning the dialectical relationship between the two higher castes), then the identification of the third caste, the third function (Vaishya) with the bourgeoisie and the third estate is much more problematic (and even, in my opinion, incorrect). According to my investigations, set forth in detail in the book Ethnosociology, the third caste (Vaishya) in traditional society is peasants and cattle-breeders in nomadic societies, but not at all the urban bourgeoisie or the class of buyers and traders. That is, the similarity between the third caste and the Third Estate is purely external. In fact, the bourgeoisie as a class is formed on the basis of those social groups that were altogether removed beyond the limits of caste society or occupied a role of layers lower than the peasants. They were craftsmen, musicians, blacksmiths, and servants. The bourgeoisie was formed from servants of warriors (the second caste), who were too cowardly to fight and too lazy to work in the fields. This was originally the class of parasites and liars, who usurped the intermediary functions between the second and third caste. These are armor-bearers or lackeys, like Don Quixote’s Sancho Panza or the servants of the musketeers in Dumas’s novel. For precisely that reason the bourgeoisie (and the liberal ideology characteristic of it) emerged victorious from the battle with communism: that was the victory not of the third function over the fourth, but of global refuse, vampire bankers, and parasites. Accordingly, I propose to reconsider also the “proletariat.” Of course, in itself the proletariat is a bourgeois conception, developed already after the world of the urban bourgeoisie began to acquire the mature contours of Modern civilization. The urban parasite-bourgeoisie constituted its antipode, its antithesis. But the social genesis of the urban proletariat clearly indicates that it represents the ravished or impoverished representatives of the third function (peasants, Vaishya), i.e., that it stands higher on the caste ladder then traders or craftsmen. Of course, under urban circumstances of bourgeois exploitation it gradually loses these signs of carrying the values of traditional society, but its opposition to the bourgeoisie is not the revolt of the lower against the higher, but a striving to return the usurper-capitalists to their proper place – under the boot of legal caste power. Of course, that is absent from classical Marxism, but in the historical practice of the Bolshevist revolution and especially in the experience of the socialist regimes of China, Korea, Vietnam, Campuchia, or Burma, it is completely evident. “Proletarian” revolutions were victorious only in those countries where there was practically no industrial urban proletariat. It was essentially the revenge of the laboring peasantry (including those that had been put out of business) against the caste bourgeois usurpers. From here arises the placement of the Second Political Theory over the First Political Theory. This contradicts Evola’s ideas, especially from the post-war period (“Orientations”), when he allowed the possibility of an alliance of traditionalists with anti-communist bourgeois movements. 3. The Interpretation of Heidegger. I adhere to an entirely different interpretation of Martin Heidegger’s ideas than Evola does in his book Ride the Tiger. From my perspective, Heidegger stands much closer to traditionalism than seems at first glance, although his ideas can appear rather difficult to understand. In speaking of Dasein, Heidegger reveals that human element [chelovecheskoye nachalo] that precedes conceptual superstructures and conjoins the human with powerful and primordial elements [stikhiyami]: death, time, the world, anxiety, etc. In the Fourth Political Theory, Dasein plays the role of the “subject” and all of the metaphysics are developed from that point, on its basis. It is easy to see in this the immanent themes of tantric initiation, which insists on the utmost specifics of human and superhuman transformations. Heidegger calls his philosophy “fundamental ontology,” i.e. a teaching [ucheniyem] about being, built on an indissoluble connection with Dasein. That is entirely similar to Evola’s critique of Western European idealism. I acknowledge that Evola and Heidegger were on different waves and did not agree with each other, but they are equally close to me. Moreover, I regard both authors as precursors of the Fourth Political Theory, the prerequisites for which they created, in particular by their criticism of Third Political Theory, to which both had a certain relation for a period of time. Other differences, including Evola’s hostility towards Christianity (the originator of the “Fourth Political Theory” is a convinced Orthodox Christian) or certain of his theses in defense of racism (the originator of the “Fourth Political Theory” is a convinced opponent of all forms of racism), are less important, since they are explained either by personal preferences or historico-cultural conditions. On the whole, the Fourth Political Theory – even if with certain reservations – should be close to traditionalism since it continues the line of radical criticism of Modernity but proposes new paths and new strategies for the irreconcilable struggle. But the traditionalist milieu is far from exhausting the audience to which the “Fourth Political Theory” appeals. Theoretically one could approach it from any position: by recognizing the exhaustion and dead-end of liberalism, communism, or nationalism. In regards to liberalism, one could pay attention to the principle of freedom, which liberals defend. Of course, if we attend to the history of the philosophy of liberalism, it will quickly be clear that this is an altogether particular freedom, purely negative (“freedom from”) and bearing within itself a rigid and obtrusive nihilism. However, this is clear only to the “highest initiates” of liberalism, who recognize and adopt the devilish strategy of liberalism, directed at the complete destruction in the human of every human element. For such “liberal initiates,” the satanism, totalitarianism, and destructiveness of this ideology are obvious and acceptable. Although this is most often concealed from outsiders. After all, most liberals are not among the initiated and therefore take the values of freedom seriously. In this case they can full well raise the question why contemporary liberalism acquires ever more totalitarian features, permitting the freedom “to be a liberal” but demonizing all those who reject liberalism. Thus, in the era of globalization liberalism demonstrates the same totalitarian features as characterized its adversaries, the two other political theories, communism and fascism. An “honest liberal” (if they exist) cannot help but ask at some point whether such totalitarian is adequate and compatible with the value of freedom. Precisely here the thesis concerning the Fourth Political Theory becomes extremely relevant. Usually liberals deal with this difficulty by comparing liberalism to the Second and Third Political Theories. They say that even if liberalism is not perfect, then in any case it is better and provides more freedom than communism or fascism. That is true. But only if we agree to limit the domain of comparison to the three political theories. The Fourth Political Theory rejects liberalism, but it also rejects communism and fascism. Consequently, the principle of comparison changes. The Fourth Political Theory defends neither communism, nor fascism, nor their synthesis. It rejects political Modernity as such. And if liberals are consistent in their defense of freedom, then why should they not recognize the right of the Fourth Political Theory to exist – as a new opponent of liberalism, as a new critical theory of the 21st century? Moreover, the Fourth Political Theory, in complete agreement with cultural anthropology and based on it (Boas, Levi-Strauss, and others), affirms the multiplicity of cultures and the impossibility of establishing any sort of hierarchy among them; hence the dogmatic and radical antiracism of the Fourth Political Theory. What’s more, the Fourth Political Theory uncovers the racism contained in liberalism as a product of the historical development of Western European civilization. Focusing on the right of a people, society, civilization, or tribe to have its own proper system of values and to build its political structures on its own traditions, the Fourth Political Theory defends the maximum scope of freedom. That is, if we compare liberalism not with communism and fascism, but with the Fourth Political Theory, the Fourth Political Theory will look like a teaching [ucheniye] about freedom compared to a racist version of totalitarian globalism, embodied in the dominance of the West. We can examine the Fourth Political Theory as an embodiment of the ethics of Boas and Levi-Strauss, as well as certain postmodern philosophers, who criticized liberalism harshly precisely for its Western Euro-American ethnocentrism. Besides, the natural development of liberalism, which is consistently destroying all forms of collective identity – from religious and estate identity to national and gender identity – is entering the last phase its strategy, the era of post-humanism or trans-humanism. That means that in the near future artificial intelligence, cyborgs, chimeras, hybrids, and the most diverse post-human forms of life will become everyday things. And that will complete the process of the “de-humanization” of humanity, already contained in the materialistic and rationalistic paradigm of Modernity. Among a certain number of liberals, too, who, unlike the satanic apex of globalists, are not yet for such a turn of history, all this can raise the suspicion that something is not right with this ideology. And finally, the Fourth Political Theory addresses [or appeals to] the Italian leftists. In Italy we already have the precedent of a convergence betwen traditionalists and Eurasianists in the leftist philosopher Costanzo Preve (1943-2013), who recognized the need for a common right-left front against globalization, American hegemony, and liberal dominance. But that is not all. If we examine leftist anti-capitalist tendencies in Italian philosophy, we easily find authors who are rather close in mood and attitude to the Fourth Political Theory. The crisis of Marxist thought is obvious, and Marx’s anti-capitalist ethics, in itself entirely justified, can no longer be based on a dogmatic apparatus that has completely lost all its relevance under new circumstances. Moreover, revisionists among Euro-communists have practically ceded their positions in favor of the First Political Theory, becoming instruments in the hands of liberals and their System. In this sense we can mention two leftist Italian philosophers whose thought has not become stuck in the old schemas, but who did not cede their positions to liberals: Massimo Cacciari and Giorgio Agamben. Massimo Cacciari combines the horizon of communist hope with the angelic nature of man, the disclosure of which is the goal of the revolution. Cacciari systematically develops these ideas in his programmatic work The Necessary Angel, and also in other texts connected one way or another with angelology. Another original feature of Cacciari’s philosophy that is also unusual, given tendencies toward universalism among leftists, is his interest in geopolitics and the geography of civilizations, i.e. geophilosophy or geosophy. Cacciari pays great attention to differences among cultures and identities, proposing to interpret each of them on the basis of their inner criteria. In this he follows the cultural anthropology of Boas and the sociology of Dumont. In his study of the geosophy of Europe, Cacciari introduces the notion of the “Archangel of Europe,” underscoring thereby the mosaic variety of diverse European regions. In this heightened attention toward the mosaic structure of the whole we can see a typical Italian trait: Italy is formed of a few independent and self-contained politeiae, so it would be completely fitting to apply Cacciari’s concept to it: The Archangel of Italy. According to Agamben, the European democracies of Modernity are veiled forms of dictatorship, structurally identical to the sovereign forms of power described in Hobbes’s Leviathan or Carl Schmitt’s theory of the Political. Parliamentarianism and the Constitution, according to Agamben, merely conceal the dictatorial nature of power in the Modern era, which is revealed whenever democracy encounters a more or less serious challenge. Democracy’s veil disappears in an instant, and in its place the true nature of the political structure of Modernity appears: the concentration camp. The dispersion of the vertical of power in contemporary bourgeois Republics is an illusion. In fact, bourgeois society is strictly totalitarian and is governed by the principle of the power axis. According to Agamben, that is what comprises the nature of the Political: the Political is either vertical, or it doesn’t exist. Attempts to find a compromise through the distribution of the decision throughout the entire space of civil society are doomed: as soon as that very action acquires a political character, the principle of radical exclusion and hierarchical subordination comes into play; this is immediately apparent in the selectivity of the allotment of rights, and in their quantity and quality. Despite the main thesis of liberalism, the subject of the Political cannot, Agamben asserts, be the individual. At its opposite end, at its extreme periphery (between society and nature), the Political constitutes not the citizen, but “bare life” (nuda vita). That is the central concept of Agamben’s philosophy, which he developed based on research on the chronicles of prisoners in prison camps in Nazi Germany and in the period of the Second World War. The population of the prison camp is not people, but mass “bare life.” And precisely here the scope and nature of Agamben’s biopolitics is revealed: power always deals with an unqualified biomass, into which it sovereignly instills a radically heterogeneous vertical. That which was open in Nazism is veiled in democracy. But the essence remains strictly identical. Any regime of political Modernity is deeply totalitarian, whether that is fascism, communism, or liberalism, Agamben asserts. “Civil society” is only a euphemism for “bare life”; the citizen, as liberals understand him, simply does not exist. Thus arises Agamen’s irrevocable triad, undeviatingly present in all the types of Modern political regimes: the Political / Leviathan / Sovereignty (the state of exception) – society / concentration camp – bare life (the object of biopolitics). Agamben’s critique of liberalism, just like in the case of Costanzo Preve and in part of Massimo Cacciari, comes very close to the domain of the Fourth Political Theory, which is also built on a radical rejection of political Modernity. And since the sole relevant and dominant form of political Modernity today is liberalism, the first political theory, the exposure of its totalitarian nature and violent practices becomes the main practical task of a new type of political Revolution. In 1990, on the eve of the collapse of the USSR, Agamben himself published the programmatic text The Coming Community, in which he described the reality of liberal totalitarianism and proposed a revolutionary alternative. Agamben interprets this totalitarianism on the basis of Guy Debord’s ideas of “the society of the spectacle.” Society, based on the principle of mass communications, gradually changed proportions: there are no more messages [soobshcheniy] in communication, since a referential basis has been lost. It is henceforth not the totality of discourses but a sterile and totalitarian recycling of language as such. In the case of liberalism totalitarianism, violence is carried out not by the leader or ruling group, but by the Political itself, as the concentrated expression of alienation, expressed in the complete exteriorization of language. Noting the triumph of completed liberalism over its traditional opponents – fascism and communism – Agamben defines a new enemy, the “planetary petty-bourgeoisie” as the sole class of a post-class society. The main features of Agamben’s analysis coincide with the Fourth Political Theory in its leftist formulation, and here it is in complete solidarity with Costanzo Preve and Massimo Cacciari. Agamben is even closer to the Fourth Political Theory when he approaches the description of the alternative and the definition of its subject. It is worth noting that Agamben follows Heidegger in many respects, having attended his seminars in the 1960s. He comes right up to the theme of Dasein as the new pole of eschatological politics. He introduces the concept of the “any” [lyubogo, the “whatever-singularity,”] the Latin quodlibet. He gives it the status of a “new subject,” distinct from both the “each” (the serial, the typical), the “all” (the mechanical sum), and the “species” (the conception, the class). Agamben emphasizes in the term quodlibet the presence of the word libet, which shares the same root at the Russian lyubov' or German Liebe [love]. Agamben sees in this a loving [lyubovno]-volitional uncertainty, additionally and imperceptibly (like a nimbus) present in things or beings that are completely described and fixed in all respects, except in this dimension, in both their materiality and place in the rational structure. Having subordinated to itself bare life in the form of the planetary petty-bourgeoisie and having usurped the entire array of alienated language, which no longer communicates anything (information society as the society of the total spectacle, according to Debord), liberal totalitarianism is not powerful over this subtle element, which is not an individual (as totalitarian as any political concept), but something nimble, delicate, and indefinite. According to Agamben, it is that single and ultimate [or finite] [instance] that must be opposed to the Global Liberal State, and, accordingly, to the World Government. The last thing I’d like to mention is the relation of the Fourth Political Theory to the phenomenon of populism. Lately the most diverse authors are paying attention to the phenomenon of populism. Among others, it worth singling out the fine and profound study The Populist Moment by the French philosopher Alain de Benoist, one of the founders of the Fourth Political Theory. They all record the end of the traditional division of the political spectrum into left and right and the appearance of a new geometry of political systems. The departure from right and left is characteristic for all society, both elites and masses. It is connected with the total dominance of the First Political Theory. When liberalism acquires total hegemony, it begins to act as such, without formulation into a left or right form. In economics, right approaches dominate (market); in politics, left ones do (libertarianism, gender politics, the blending of sexes and peoples, multiculturalism, etc.). Liberalism is an elite ideology, and we increasingly see the apex of the liberal network, those same “liberal initiates” who no longer conceal their true plans and openly proclaim a path towards the post-humanization of humanity. Moreover, the methods of government become ever more openly totalitarian, using the means of mass information and social networks for forceful intrusions into the consciousness of liberal dogmatists. On the opposite pole of society, protest attitudes are gradually accumulating that, just like the ideology of the elite, are no longer left or right. Those who reject liberalism most often do not think about a positive alternative: they reject the status quo, which in their eyes is becoming unacceptable and unbearable. At the same time, opponents of the elite lack an ideological platform, while those powers that express these attitudes in politics most often also do not follow any strictly defined programs. These protest attitudes and their spontaneous and non-systematized expression received the name “populism.” Populism has always existed, but precisely today it is becoming a most important political factor. That is precisely the “populist moment,” according to Benoist. Here we should pay attention to the term on which the concept of populism is based, populus. Populus, narod [people], is a conception lacking its own exact legal status in the ideology of Modernity but present in the majority of modern Constitutions, as the source of legitimate power. The narod [people] mentioned in Constitutions is interpreted in legal models in a liberal way (as the totality of individuals – from which there is one step to a theory of human rights), in a national way (as the totality of citizens, who have citizenship in some country), or in a socialistic way (as class society, in regimes of popular democracy). But everywhere the narod [people] acts as a general conditional expression, not as a concept. That is, it is acknowledged as a subject. That happened historically in the transition from the Renaissance to Modernity. The narod remains in Constitutions from the Renaissance, where it had an independent conceptual significance not yet subjected to interpretation in any of the political theories of Modernity. That is why the narod does not belong to the political structures of Modernity; it is found on the border: present in the Constitution but absent as a full-fledged legal subject. The publication of the Fourth Political Theory in Italian is an important event in my life. Massimo Cacciari, L’Angelo necessario (Milano: Adelphi, 1986); Massimo Cacciari, Adolf Loos e il suo angelo (Milano: Electa, 1981). Massimo Cacciari, Geophilosophy of Europe. (SPB: Pneuma, 2004). Giorgio Agamben, Remnants of Auschwitz: The Witness and the Archive (New York: Zone Books, 2002). 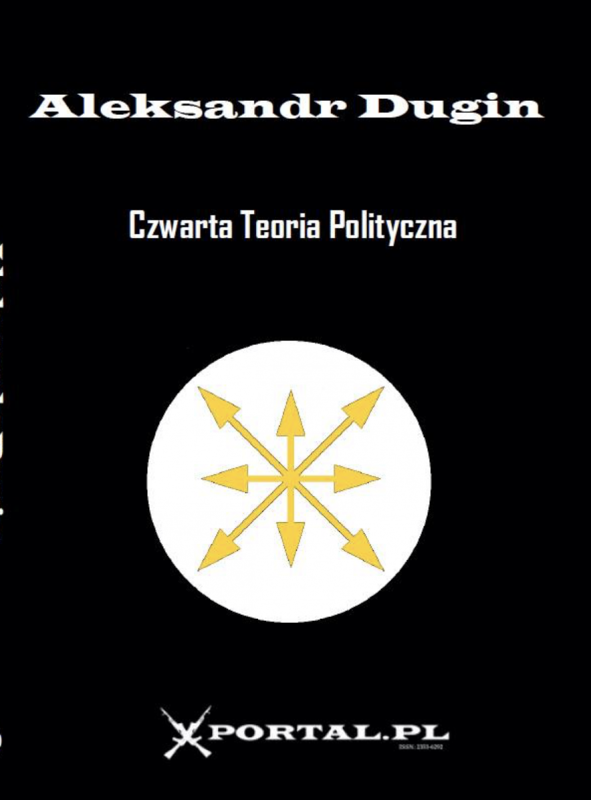 Dugin, The Fourth Way (Moscow, 2014).